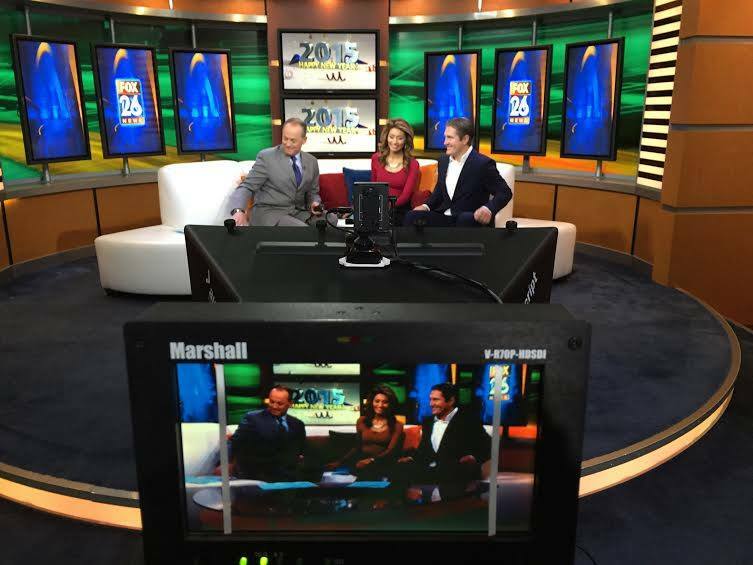 On Tuesday, Jan. 6, Health Fitness Revolution founder Samir Becic appeared on Houston’s FOX 26 news to educate listeners on healthy lifestyle and to encourage fitness and well being in 2015. He also addressed the fight against obesity that he is aiming to tackle. Samir is traveling all over Texas to appear on all major TV, radio and print media in order to spread the message and encourage Texas to not only be the biggest but also the fittest and healthiest state in America. His focus in 2015 is that through a healthy Texas, we can create a healthy America, especially considering the fact that Houston and other Texas cities are on the list of the fattest cities in the United States. On Christmas day, he had Houston Mayor Annise Parker doing squats at her private holiday party in front of more than 100 people to show her support of healthy lifestyle. And she did it without hesitation!